Board of Intermediate and Secondary Education Bahawalpur has its own schedule to prepare and declares Bahawalpur Board matric class result. BISE Bahawalpur starts checking of the papers of matric class part 2 and prepares the Bahawalpur Board SSC part 2 result in three or four months. Bahawalpur Board 10th class result is prepared and provided to the students so that they can watch their marks in all subjects. 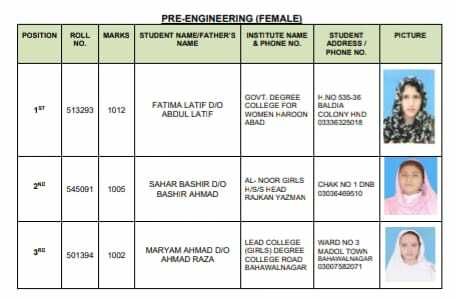 BISE Bahawalpur 10th class result is provided with relevant information and the students can check their result on this page. Bahawalpur Board matric result is provided to the students in the main auditorium of the board and the students can check their complete detail of BISE Bahawalpur SSC-II result and marks in all subjects. Board officials announce matric result in the main hall, where teachers and students are also invited.